Mother, Grandmother and friend passed away December 2, 2018 and took a piece of many of our hearts with her. Bobette was the daughter of Robert and Audrey Grant Patience. She was preceded in death by her parents and her dear brother Rick Patience. She graduated from Davis High and from Robert Stewart college of Beauty. Bobette was married to Bruce A. Nielson for 28 years, together they had two beautiful daughters, Tonya Mumford (Bret) and Brandy Higgins, five wonderful grandchildren, Miranda Nyman (Jayden), Dylan and Mazie Mumford; Jaden and Seattle Higgins. She later married and divorced Greg Child, but they remained very close friends. Bobette was her happiest when she was with her family or being of service to others. She spent many years doing hair and collecting precious friends, if you had the pleasure to meet Bobette you would become her friend forever. We hope she will always know how much she was truly loved. A memorial “Life Tribute” to Bobette will be held Sunday, December 9, 2018 at 4 p.m. at Lindquist’s Kaysville Mortuary, 400 North Main Street, Kaysville. Friends may visit family from 3 to 4 p.m. at the mortuary. In lieu of flowers you may send a donation to help the family with the funeral expenses. 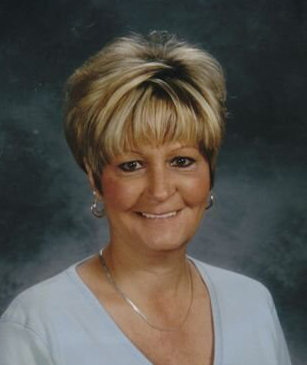 A memorial fund has been set up at America First Credit Union in Bobette Patience's name.